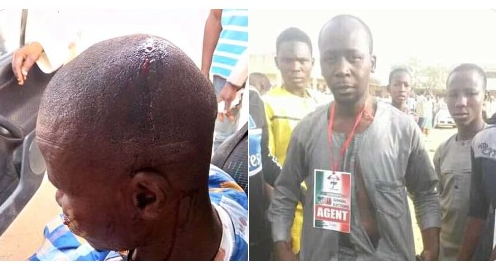 There is apparent security breach and tension in Kano State as political thugs were allowed to take over a number of polling units across the state in the ongoing governorship re-run election. Credible security source disclosed that the existing operational arrangement set by the commissioner of police, Mohammed Wakili, was dislodged on Friday night by the newly posted Deputy Inspector-General of Police Anthony Michael. The Inspector-General Mohammed Adamu on Thursday deployed five deputy inspectors-general of police to oversee election security in parts of the country where rerun had been scheduled for Saturday. Mr Adamu also directed zonal assistant inspectors-general and their respective commissioners of police in states where supplementary elections would hold to ensure that adequate security mechanisms are in place towards ensuring a safe and secure environment for the conduct of the elections. But in Kano, the newly posted DIG was allegedly “compromised” as thugs in hundreds of vehicles were allowed to take over polling units in the state after rejigging the operational arrangements, deployment of some police officers loyal to the state government and deployment of fewer personnel to critical areas. APC thugs arrived Gama Ward of Nassarawa Local Government Area in droves on Friday. 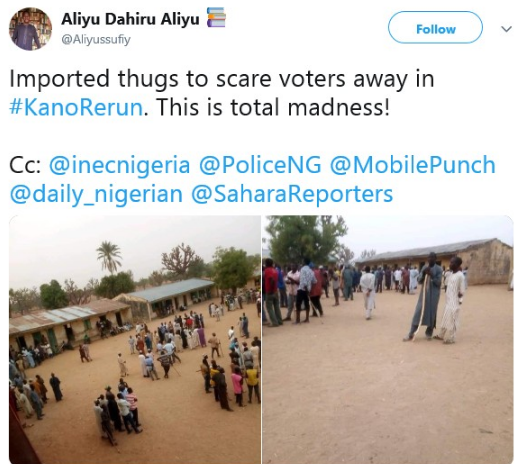 In Gama, the disputed ward where the whole election was canceled, DAILY NIGERIAN gathered that the arm-wielding thugs in their thousands took over all the polling units, intimidating legitimate voters. 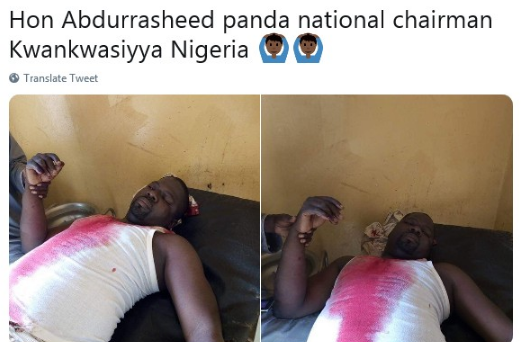 In Yelwa Ward, Dala Local Government Area, clash occurred when the residents of the area blocked some of the imported youths from gaining access to the polling area. In Madobi, Gwarzo, Doguwa and all other units where supplementary elections are to hold in the state, the machete-wielding thugs were sighted intimidating voters. Spokesman for Kano Police Command, Haruna Kiyawa, confirmed the heavy presence the thugs in the polling units but said the police are doing their best to bring the situation under control. The re-run election is taking place in 28 local government areas, with 75 registration points in 207 polling units whose results were all cancelled. There is a total of 128,324 voters in the affected areas.